Northampton has ranked 26th on the National Lottery's 'league of luck'. Out of the nation’s 121 postcode areas, the NN region ranks equal 26th for the number of millionaires made in the last two years, lottery anoraks say. Since the launch of The National Lottery in 1994, 40 millionaires have been made in Northampton – equivalent to one almost every six months. In total, 360 top tier prizes of at least £50,000 have been banked by players in the NN postcode. Local winners who have shared news of their win recently include Wellingborough couple Sue and Chris Bowers who netted a £3.4 million Lotto jackpot in July 2012 and Viv and Kev Moss who walked away £6.8 million richer after hitting the Lotto jackpot in October 1998. Andy Carter, senior winners’ advisor for the National Lottery, the man who pays out the big winners, said, “Northampton has enjoyed a good share of wins over the years and we hope it continues to stay lucky. In 2015, 84 grants worth £7,585,162 were distributed to National Lottery funded projects in the Northampton region. 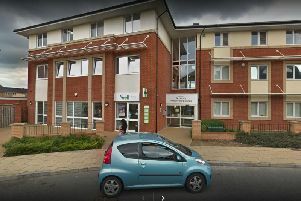 Those benefiting included Northampton Hope Centre which gained £473,000 for a project to help unemployed and homeless people and those with alcohol, drug or mental problems gain qualifications through a variety of activities. A scheme in Kettering, called Solve It VSA, was handed £240,000 to help educate young people about volatile substance abuse and Northampton Express Bowls Club was given £26,000 towards new lighting.